NMR spectroscopy is one of the most powerful and widely used techniques in chemical research. This second edition of the highly successful textbook NMR Spectroscopy provides a comprehensive introduction to the basics of the technique, combined with its more advanced applications to organic chemistry. A highly practical, non–mathematical approach is adopted, with many examples taken from organic chemistry. This new edition has been thoroughly revised and extended to include recent important advances in n.m.r. spectroscopy. These include a new chapter on two–dimensional methods, an enlarged treatment of Fourier transform methods, an introduction to the product operator formalism of modern pulse n.m.r., the description of gradient enhanced experiments and a new section on solid state n.m.r. The introductory chapters provide the necessary underpinning knowledge for newcomers to the technique. Problems, with solutions, are included. 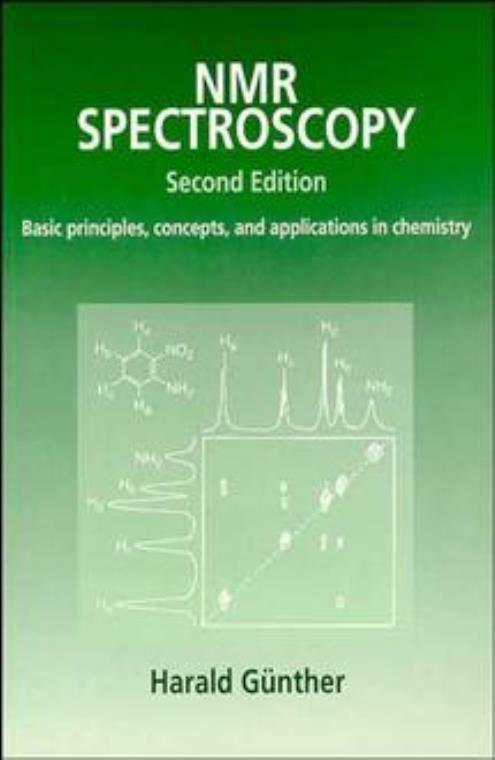 NMR Spectroscopy: Basic principles, concepts, and applications in chemistry is a highly comprehensive textbook which will be invaluable to undergraduate and graduate students of organic chemistry, spectroscopy or biochemistry, and to researchers using this well established and extremely important technique. The Physical Basis of the Nuclear Magnetic Resonance Experiment Part I. The Proton Magnetic Resonance Spectra of Organic Molecules. Experimental Aspects of Nuclear Magnetic Resonance Spectroscopy. Chemical Shift and Spin–Spin Coupling as Functions of Structure. The Analysis of High–Resolution Nuclear Magnetic Resonance Spectra. The Influence of Molecular Symmetry and Chirality on Proton Magnetic Resonance Spectra. The Physical Basis of the Nuclear Magnetic Resonance Experiment Part II: Fourier Transform and Pulse Nuclear Magnetic Resonance. Two–Dimensional Nuclear Magnetic Resonance Spectroscopy. The Influence of Dynamic Effects on 1H Nuclear Magnetic Resonance Spectra. Selected Experimental Techniques of Nuclear Magnetic Resonance Spectroscopy. Carbon–13 Nuclear Magnetic Resosnance Spectroscopy.